Digitalization has opened a plethora of opportunities for Communication Service Providers (CSP) across the globe to transform their traditional service offerings, moving from telephony into content-driven businesses and reaching the status of Digital Service Providers (DSP). There is a paradigm shift in the telecommunications ecosystem with the entry of technological disruptors (like OTT players) resulting in a portfolio of services with competitive pricing models. The depletion of voice revenues and the rise of data services has changed the dynamics of business partnerships. The traditional telecom service provider is no longer isolated in the market and has multiple collaborations for audio, video, content, analytics, cloud, etc. Furthermore, due to shrinking margins, operators are looking forward to having contracts/agreements with their vendors and partners, which will create a win-win situation for the parties involved. According to a recent survey by TM Forum, DSPs have a revenue opportunity of around $142 billion from digital services. Whether it is AT&T acquiring Time Warner for $85.4 billion or Reliance Jio integrating with Saavn to create JioSaavn app, telcos are looking to roll out exclusive content to their end customers. Considering that there is much to gain, a DSP without a strong content offering in today’s scenario is almost unimaginable. A DSP often has hundreds of content provider contracts (mostly with aggregators) to manage, and there is a huge diversity of partners ranging from a garage developer to the likes of Google. The phenomenal surge in data consumption by subscribers and free content is driving the majority of telcos’ core businesses today. In addition to this, few telcos are partnering with OTT players to provide exclusive content and niche services in the form of premium bundles. Operator-led OTT subscriptions have become the new business model driving revenues and customer segments. Initially, rate cards were exchanged between partners for billing the usage of services. Later they entered into bilateral agreements to settle the revenues between them. Now, telcos are moving to digital contracts by partnering with content providers and other OTT players. These digital contracts involve tier/slab ratings, along with exclusions/discounts. Commitments and rating based on specific parameters have increased the level of complexity with respect to rating and charging their partners. There are several agreement scenarios (deals) between the operator and content partner based on different business models. Furthermore, revenue sharing models have been evolving from fixed % based to a tier/slab-based approach across product scenarios. As per the partner agreement, if new subscriptions are negative for a particular month, no pay-out will be made to the partner for that month. In this scenario, the operator is liable to share the revenue based on the penetration of subscribers in an area. The complexity involved here is that the penetration level of each market is different from the other. In addition to this, there are certain areas where the radius is defined with respect to a landmark. Subscribers within the radius will be charged a premium and accordingly the revenue share. In today’s competitive market scenario, partnerships have become the need of the hour for telecom operators and they are moving ahead by signing innovative and complex contracts. The above mentioned examples of digital contracts/agreements are a few models that we have recently dealt with. In the future, we will see many such models with increased complexity and innovative digital contract definitions. 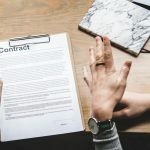 Have you negotiated or signed any complex contract recently? Let us know in the comments section below. Looking for partner who can help you handle complex contact? Talk to us. 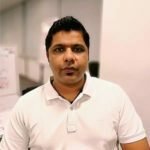 Sunil Subrahmanyam is a Consultant in Subex’ s Business & Solutions Consulting vertical, focusing on the area of Partner Management in Emerging Markets. 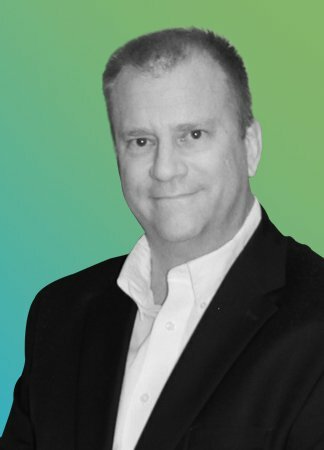 He has over 3+ years of experience in Telecommunications & IT industry with key focus on Revenue Assurance, Risk Advisory -Telecom, Business Intelligence & IT transformation. 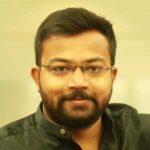 He is a TM Forum certified Revenue Assurance Practitioner and had previously worked with Cognizant and Tata Consultancy Services. Ever guessed who will be your next partner in wholesale, digital or OTT? Seeing the pace at which partnerships are burgeoning across the length and breadth of the industry, it seems you won’t get an easy answer to this question. 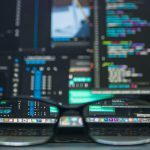 In this rat race, growing partners is the need of the hour, and that too across categories of entertainment, security, gaming and more; there won’t be much time to analyze the partner’s background or work on the business logic. But you are confident that your digital journey is on track, with newer business and revenue opportunities.… Hurray! Now, things turn upside down when you realize after a few days that there’s a difficulty with managing the partner account, faulty content delivered to subscribers, disputes arising from agreements, or you find out that there’s a serious problem in the way business terms are being executed. Why do these happen? Well, the issue could be arising from a lack of preparation and foresight; no one is to be blamed either, the rapidly evolving business landscape throws a curve ball. 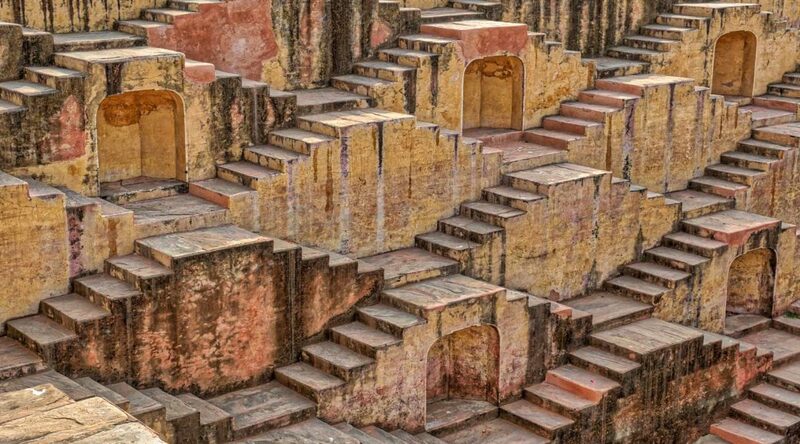 With several thousands of digital companies forming a complex maze of partnerships, challenges are certain. These challenges could arise from all quarters, not from your partners alone, but your customers or external sources as well. There is a content provider and a partner who deals with a variety of content types including OTT video and mobile apps, but you find it difficult to integrate all types of services on one platform. The content offered by your partner is incomplete or corrupt, and the charges need to be reversed to a customer. How will you settle the deal in this context? A customer engages in fraudulent activities; for example, after downloading the content, he/she defaults the payment arguing that the content is of poor quality. Partner settlement becomes difficult as your partner engages in unethical practices like using a fraudulent platform for tracking the number of downloads or the impressions. A phishing fraud affects your customers, forcing you to compensate massively. An inadvertent regulatory violation from your end leads to a serious legal complications, leading to financial loss and damage to reputation. Where does the problem lie? Who is to be held responsible? How to overcome these challenges? The underlying problem with most Telcos pursuing digital opportunities is sometimes the lack of preparation both in terms of technology, infrastructure and awareness. With constant changes to the digital landscape, regulatory pressure and escalating CAPEX, anticipating everything that could go wrong is a downward spiral. An upgrade to your Business and Operations Support System (BSS/OSS) could be a solution, but how far and to what extent the upgrade should go? Most Telcos have already initiated the BSS/OSS transformation, but has not yet achieved the level of digital maturity which they are supposed to. Why so? Well, the scenarios discussed above indicate that the technology infrastructure you are building to protect your digital business should be capable of addressing not only the current challenges but also the future events that are likely arise. In other words, it should be capable of predicting the future scenarios to an extent and address the problematic ones before they impact the system. And be future compatible so that it can adapt quickly. Broadly speaking, an encompassing OSS/BSS strategy that addresses different aspects like revenue management, billing & partner management and customer experience in a proactive manner is the need of the hour. 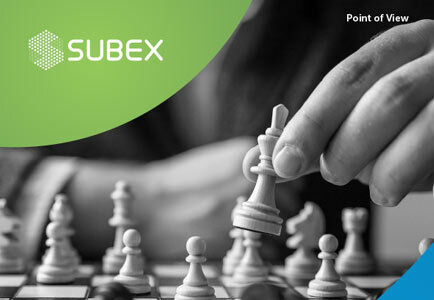 Stay tuned to understand how Subex can help you build a digital billing strategy that helps you rise to the status of a successful Level 4 digital service provider (DSP). If you want to know how Subex’s solutions can help you build a digital ecosystem that boosts your revenue streams and enhances customer value, contact us. Debolina is a seasoned professional who specializes in Telecom Partner Settlement, Route Optimization, Interconnect Billing and Order Management/Provisioning. She has over 10 years of experience in the Telecom industry and has a vast exposure to customers from all regions. 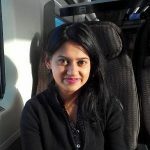 Debolina currently works as a Technical Product Manager where she manages the product management for the Cost Analytics Portfolio of Subex. She is an active contributor on various forums like Actuate, QlikTech, and is also a voracious reader and an active blogger. Converged Partner Management: Will It Address Telco’s Concerns? Over the past decade, we have seen how the growth of IP-enabled networks has impacted Telco’s business models. The competition from Over-the-Top (OTT) players brought drastic decline in their traditional voice and message revenues. The discussions on improving Average Revenue per User (ARPU) for Telcos thus chiefly revolved around enabling new service models around Digital, but without compromising the overall budget. The transition of Telcos from traditional Communications Service Providers (CSPs) to Digital Service Providers (DSPs) thus became indispensable but at the same time challenging. One of the top challenges faced by DSPs during this transformation is to manage the diverse ecosystem of partners linked to their business. Why Converged Partner Management is Important? Considering the complex business environment a DSP operates in, partner management becomes crucial not only to simplify operations but also to optimize revenue streams. Legacy partner management systems have limitations especially due to their lack of flexibility and automation capabilities. By implementing a converged partner management strategy, Telcos can maximize profitability and minimize partner disputes. By integrating the service with ERP and other connected processes, they can also reduce the operational costs considerably. Before going deep into the converged partner management solution, let’s explore the scenario in a DSP partner management landscape. The complexity in partner management starts right from “defining the partner business.” Here we have the traditional partners like wholesale and roaming providers whose contracts may revolve around setting bilateral deals for defining traffic and event details for voice, data, and SMS services. 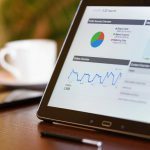 On the other hand, there are digital partners like OTT players, VAS/content providers, and IoT players whose contracts may revolve around other metrics such as clicks/impressions, downloads, meter readings, etc. The wide variety in partner businesses also brings associated challenges in partner settlement, another major worry for DSPs. Each business entity requires different sets of rules, which need to be applied to the events to generate the final revenue reports. This is not easy considering the exhaustive DSP ecosystem comprising the traditional interconnect, wholesale, and roaming providers as well as the new digital partners for services like OTT, content, VAS, IoT, and M2M. 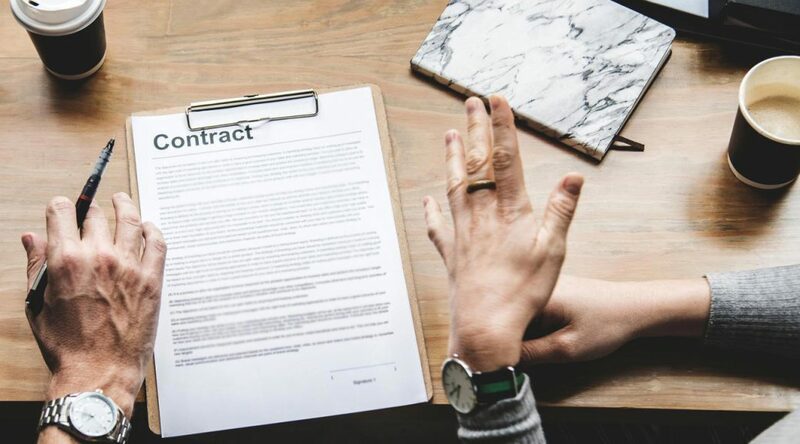 Then, there is another set of entities like MSOs, integrators, dealers and resellers who require different types of contracts and settlement rules. The dynamic and evolving DSP ecosystem also makes partner onboarding a tricky affair. There needs to be a system that can track frequent partners and in multiple formats, and build mediation capability across them in a seamless manner. Attaining real-time visibility across each platform is important for accurate rating and charging, without which the DSP ecosystem will not work smoothly. The concerns over partner management prompted us to think about a converged partner management solution that could deliver an all-in-one package for DSPs. The innovation aimed at delivering real-time visibility into DSP’s end-to-end wholesale business and revenue sources. Our interaction with stakeholders in the telecom landscape helped us sort out the pain points quickly. With the insights gained from the industry, we have now come up with a new ROC Partner Management solution that addresses all aspects of partner management including partner onboarding, partner self-care, end-to-end revenue visibility, and communication under one umbrella. As mentioned in the beginning, converged partner management strategy helps Telcos gain end-to-end visibility and drive cost optimization across its service channels. The scalable partner management architecture makes partner onboarding hassle-free. It also enhances the DSP’s service capabilities as it allows them to identify, test, and analyze different contracts before they are implemented. To understand more about Subex ROC Partner Management offering, please download the whitepaper. 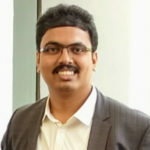 Rohan currently serves as Principal Consultant covering Business and Solution Consulting. He specializes in Telecom Billing domain including Retail Billing and Partner Billing. He has 13 years of experience in the Telecom Industry. He is also a tmforum Career Certified Business Development Manager. He carries wide variety of experience across the world with different telecom operators. Does a Digital Lifestyle offer Operators opportunities, or is the path more ominous? It stands to reason that the Digital lifestyle of consumers will dramatically impact how operators generate revenues over the next 10-15 years. Transformations are taking place that will move activities, entertainment, commerce, healthcare, transportation, and most other aspects of our lives into Digital modalities. This has invited thousands of micro-providers of applications and networks into the mix, quickly marginalizing the value of the operator to merely an “enabling pipe.” This puts the operator into a competitive situation, ultimately impacting margins. But that’s only on the revenue side of the equation… the story could become far more complex. For an operator, the days of 25%-40% EBIDTA are waning, if not almost gone (in many regions). Pressures on pricing remain downward, with new product offers being the primary method to sustain acceptable revenues and margins. This has opened the door for some impressive creativity by many operators, especially in developing markets. In many cases no market appears off limits, as seen by the offerings by progressive organizations like MTN in Africa: Who would have anticipated an operator would offer personal transportation services rivaling Uber? These seemingly odd moves are, in fact, brilliant moves by operators to seek new sources of revenues as their businesses are being redefined by the digital services we are quickly becoming reliant on. The impacts on revenue models due to this change in the business are stunning: Traditional billed services like voice, and even data, are fading in importance. Revenue models are instead focusing more on casual services, pay-per-use services, marketplace services, etc. Put more simply, the “pipe” is no longer where the earning potential lies for the operator. So now a previously non-agile, large operator business is finding itself competing with, and in many cases partnering with, literally thousands of aggressive, hungry micro-entities that provide products and services accessed by the networks. There is less reliance on monthly guaranteed revenue; the battle for revenue very often resides in millions of micro-transactions. All of the discussion cannot focus entirely on revenues, however. Margins are also sustained by costs. Agility, therefore, must exist on the cost side of the operator business. In the old world of monthly recurring and predictable revenues, costs could be managed and allocated more confidently. Opex and Capex planning and forecasting practices were based on budgeting with a high degree of certainty. But as revenues models are changing, so must cost models. Where possible, operators will need to employ similar creativity to curbing costs, as they are with earning revenues. How can operators, therefore, modify cost models in the business to be as aggressive and variable as the revenue models they rely upon? This is where the opportunities for SDN/NFV networks can shave significant costs, while changing operator cost models in ways that were not previously achievable. Software-Defined Networks (SDN) and Network Function Virtualization (NFV) will allow operators to provide Network-on-Demand and Service-on-Demand models to consumers, while effectively minimizing, if not eliminating the need for human intervention. The costs associated with truck rolls, call centers, and expensive specialized network equipment will be dramatically reduced, resulting in decreased Opex and Capex burdens on the business. The savings need to expand further, however. In current cost models, operators must deploy and maintain network services around the clock, which consumes significant and ongoing expenses. However, if a network is based on SDN/NFV architectures, the deployed services are no longer in a fixed position in the network, simply because they are now software-defined and/or virtualized. This means an intelligent network can move assets where needed, and when needed. These assets are capitalized as licensed instances; so now an operator can have a pool of 1,000 licenses for a virtual service, and deploy them only as necessary. This type of dynamic deployment model should allow operators to negotiate dynamic cost models as well; imagine only paying for a license when you have it deployed (and it is generating revenue). While this idea may seem far-fetched, consider that now the network functions we are discussing are no longer controlled by a few network equipment and function providers; micro-entities (application developers) can now produce those functions, often at far less expensive price points. The business transformations taking place in operators globally are forcing entirely new ways of addressing margin pressures, as the revenue and cost variables operators have historically used are no longer the same. Looking beyond margins in consumer-facing products and services, new network cost models must be explored, especially since those models were based on what is now an outdated means to earn revenues. Of late IoT has gained a lot of attention and every operator is at least thinking of leveraging this latest platform to offer innovative products, but the big question is how? Many operators are relying on their vendors to come up with IoT use cases, the challenge here is that even the Vendors are still in process of deep diving as IoT is still a niche market. One of the major factor that makes IoT an unknown area is the lack of visible use cases to be seen in our day to day life, though the developed counties have made significant progress, developing world is yet to embrace the “Smart” systems. With lot of emphasis on Smart cities, IoT business is here to stay. 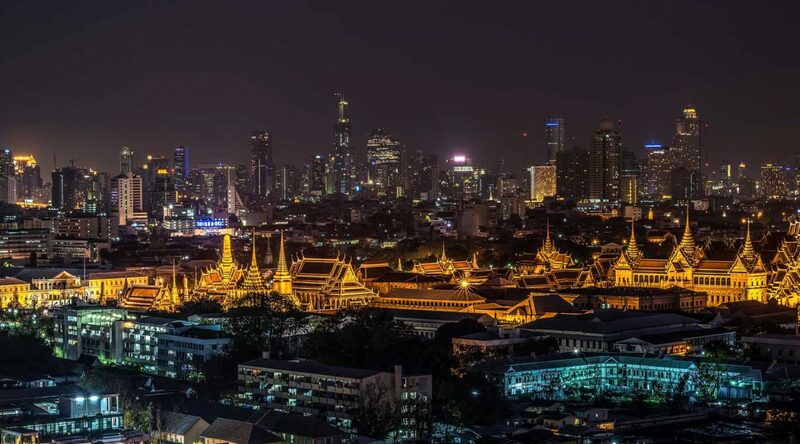 When it comes to IoT Settlements, both Telcos and Vendors should start thinking out of the traditional wholesale approach. Telcos are looking for vendors who can support them with their traditional as well as new business areas with the centralized solution. Understanding “Internet of Things” concept is very simple, it is a network of “Things”. Things are physical objects that can be added to a network, have sensors and can be controlled using software. These things can be as common as day to day devices like a Fridge, a Car, a thermostat and so on. The purpose of connecting ‘things’ is to have a centralized access to their features and to control enormous data they are capable of producing. One very obvious fact that can be identified from IoT is to have a medium for keeping things connected. This creates an immense opportunity for telecom operators to provide medium for supporting the connected items. According to Gartner by 2020, the Internet of Things will grow to 26 billion units installed which excludes connected PCs and smartphones. This will add $1.9 trillion to the global economy. Intel estimates 31 billion devices to be connected by 2020. According to Cisco by 2020, 50 billion devices will be connected, whereas Morgan Stanley feels that the number is much higher and it can go up to 75 billion. The good news is, there is a substantial growth opportunity for everyone, right from smart device manufacturers to the smart service providers everyone can get their share of business from IoT. Let us consider an example of a smart home. There are multiple interconnected devices which are installed for security, entertainment, utility etc. These are all connected to a centralized hub, which in turn is connected to the IoT platform. IoT platform consumes the data generated by these smart devices for insights and to make sense of this huge data. To establish this network of devices connected to hub and IoT Platform, internet is needed. This gap is filled by the Telcos. So bringing in smartness requires lot of partners to work together. Let us enrich above example to get more clear understanding of the multi partner involvement. A leading furniture retailer has introduced a new Smart Home Solution, where consumer can install smart devices such as TV, Fridge, Air conditioner, Washing Machine, Radio, lighting solution, thermostat and security solution. Finally these devices are connected to hub to have a centralized control of the devices. A smart Hub ensures all smart devices speak the same language, this enables user to remotely control the devices even if the user is far away from the home. To bring in more intelligence the data gets transmitted from smart devices to the IoT Platform. The IoT platform analyzes the data, apply rules and makes devices more smart based on the usage patterns. Finally the most important piece of this setup is facilitated by a Telecom operator to ensure internet connectivity for all the devices to communicate. Telecom operators can also bundle voice and SMS services along with data to take actions based on the defined rules. E.g. in case there is a security breach, device can initiate a call & SMS to the owner and insurance company to inform this breach. So in this particular eco system, we have seen multiple partners working together to establish a Smart Home solution. Similarly there are multi partner IoT use cases for Smart Car Fleet, Smart Healthcare, Smart Grids, etc. In all the IoT use cases irrespective of the catered domain, Telecom Operators and IoT platform vendors will always play a significant role, directly or indirectly they will contribute to billions of dollars in the IoT economy. For a Telco, providing backbone is not the only important thing in IoT space. With the complex partnership models, Partner Management, Billing and Settlements are other crucial activities that will result in the Cost and Revenue identification. With the cut throat competition and reducing margins in the traditional Wholesale business, operators are adding new dimensions to their business with immense revenue generation capabilities of Internet of Things. A new age partner Settlement solution cannot limit its functionalities to just traditional business models. There is a requirement for settlement solutions to be more agile in accepting and delivering new business requirements with short time to market. 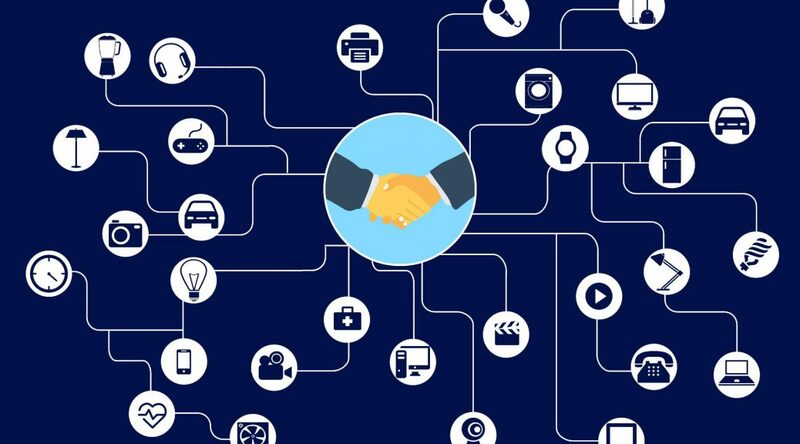 If we talk about IoT for a Telco, now partners are not limited to Voice or Content providers, rather the list is getting much diversified with partners coming in from various domains like health care, agriculture, utility, etc. 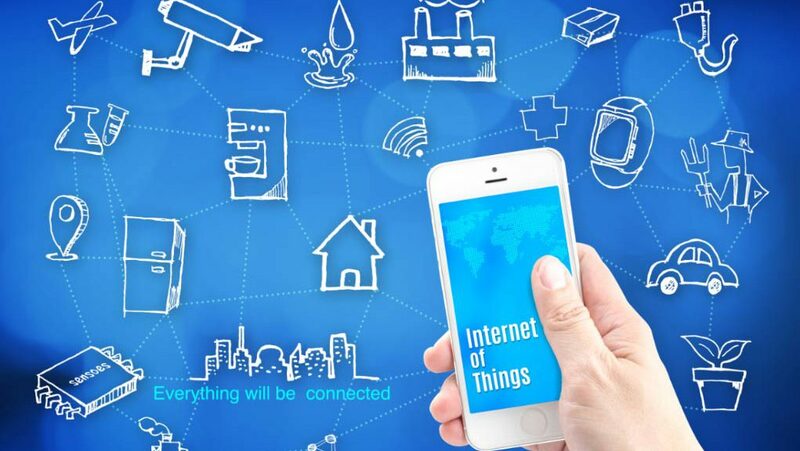 For a smart home solution, a telecom operator can provide IoT backbone to a furniture retailer , where the Telco will ensure internet connectivity and will enable IoT platform in collaboration with a cloud computing platform. Here the furniture retailer becomes the Telecom operator’s customer and the cloud platform provider is Telco’s vendor. Partner Management & Settlement solution deployed at Telco should take care of partner (Customer & Vendor) lifecycle management, easy on-boarding, business transparency along with IoT billing & settlements. Partner Settlement solution should also be capable of managing plethora of Meta data that will be provided by the IoT Platform for billing and Partner analysis. The volume of IoT data can be much more compared to traditional usage data. Flat Rating – Flat rates for data, call and SMS for each units. IoT billing & settlement is not just limited to the Telco and their direct partners, it has to be extended to the associated MVNOs in from of Billing as a service. There can be a multi-level partner involvement as well, say based on the movie genre analysis information available in meta data generated by a Smart TV, a latest movie can be suggested for subscription through an entertainment company , and hence the entertainment company can become 2nd level Advert/Content partner. IoT is still evolving, there can be many aspect that are yet to be explored. This is the right time for Telcos, platform and equipment vendors to start investing in IoT to stay ahead of the competition. In traditional interconnect, every telecom operator has domestic and international partners to terminate traffic, or use hub operators to route the traffic to specific destinations using Time-division multiplexing (TDM) circuits. 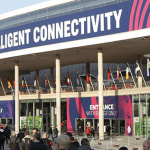 But with full service IP networks coming into the arena, telecommunication operators can provide video, data and voice using the same backbone network structure. Over the next few years the traditional TDM/PSTN and IP would probably continue to coexist. Interconnection in effect also undergoes a transformation here. Interconnection creates end to end service connectivity and interoperability across providers. As the industry is transiting into a hybrid model where IP coexists with TDM, the physical infrastructure for call transfer and exchange is undergoing a technological transformation. All new networks are using the IP backbone and this has lesser points of interconnection as compared with the TDM/PSTN network. The need for more bandwidth and to keep up with network trends now, focusing on accurately transport newer types of data, IP is definitely the most cost effective and sustainable solution. 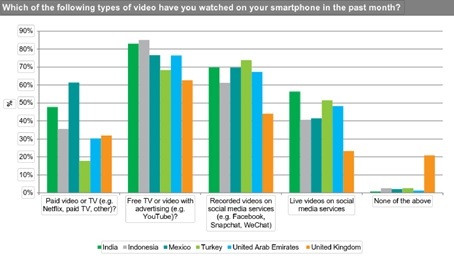 The current subscriber needs and demands are seamless, ubiquitous connectivity of mobile services everywhere, giving them access to information and social data. And while today the focus is on voice and video, voice is rapidly becoming a part of other bundled packages and offerings. The focus of past bilateral agreements between telecom providers were typically based on commercials and volumes with penalty, shortfall or send/pay clauses associated. Settlements happened at a defined frequency where invoices are exchanged, compared and reconciled in cases of disputes. Quality metrics in the traditional interconnect model were parameters like ASR, NER, etc., which sampled/monitored data to derive the call quality and checked periodically for SLA violations and route failures. At this stage, the IP layer was merely handling transport, while the actual services (be it voice, content, OTT, or web based) would be delivered in any combination. With IP related services becoming a predominant offering, it means the understanding of quality, routing and agreements would change dynamically over the next few years and lead to the need of a ‘new’ interconnection model that would be able to handle these level of agreements, charging and settlement. Quality of service for IP now needs to prioritize data security, encryption and protection of information. The target being constant connectivity, another challenge in terms of both technology and business is roaming agreements. Initially GPRS roaming required complex agreements between every individual operators and each operator had to maintain dedicated links. GSMA had launched GRX (GPRS Roaming eXchange) technology a few years ago to handle mobile packet delivery and exchange. This started off supporting 2.5G technology and eventually 3G as well. The idea behind this was to ease roaming agreements between GPRS vendors. GRX is typically based on a public IP backbone and used GTP (GPRS Tunneling Protocol) and enabled the GRX operator to act as a hub for the interconnect partners without having direct or dedicated links between them. GRX is making way for IPX (Internet Protocol eXchange) which addresses some of the drawbacks of GRX. Primarily MNOs could leverage the benefits of GRX and this was a model based on best effort, hence QoS, security, acknowledgement were not guaranteed in this method. IPX on the other hand, has clear quality parameters like Service Availability, Jitter, Packet Loss and Delay. It also has defined traffic classes: Conversational, Streaming, Interactive and Background Class, so any kind of application has to be clearly mapped to a potential QoS class name, for example: Instant Messaging is Interactive, Video is Streaming while File Transfer is Background. 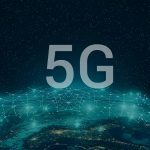 Telecommunication operators with backbone network would look at offering an IPX solution to mobile operators, content providers and aggregators by supporting multiple data, video and voice services. Mobile operators earlier had to rely on multiple platforms for voice and data and can now look at a unified synergy. The target market would look at not only MNOs (Mobile Network Operators), but also MVNOs (Mobile Virtual Network Operators), Content Providers, App Providers, Fixed Line Providers. With IPX built on a secure IPVPN network, a lot of the parameters around security and protection would be eliminated, while all kinds of data can traverse through a standard backbone network. Operators need to focus on sustainable revenue models. A strong settlement and assurance system would be critical in this play to understand the packetized data structure and price based on the CoS (Class of Service).